Mild Derma oil is a composition of natural plant oils. Deeply moisturizes the skin so that the skin is smooth, soft and flexible. Apricot oil nourishes and helps keep water in the skin. As Derma oil does not contain parabens, fragrances and dyes. It is a mild care, suitable for the sensitive skin for the entire family. The product does not contain perfumes. The Danish company DermaPharm for over 30 years has specialized in the production of allergy friendly skin care products. Derma brand products are used in health care centers and hospitals. Derma cosmetics contain natural origin substances. Their composition does not contain parabens, fragrances and dyes - one of the common factors that can irritation and allergy reactions to sensitive skin. For this reason, Derma products can be used by people who require particularly gentle care. Derma products recipes meet the requirements of allergy friendly products. Derma products are certified by Asthma-Allergy Denmark association. Derma cosmetics are natural skin care for the entire family. 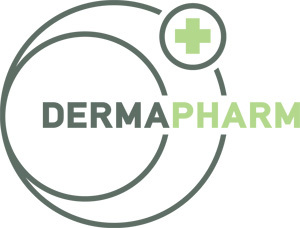 DermaPharm company principle is to provide to its' consumers reliable products of the highest quality, that are produced in harmony with the environment.